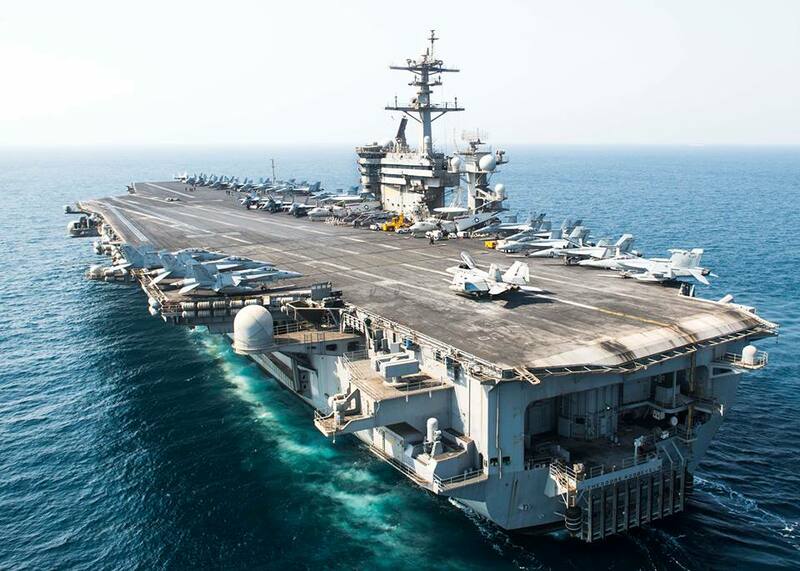 Nearly 6,000 Sailors and Marines aboard the USS Theodore Roosevelt are scheduled to return to Naval Air Station North Island Monday following a seven-month deployment, the U.S. Navy announced. 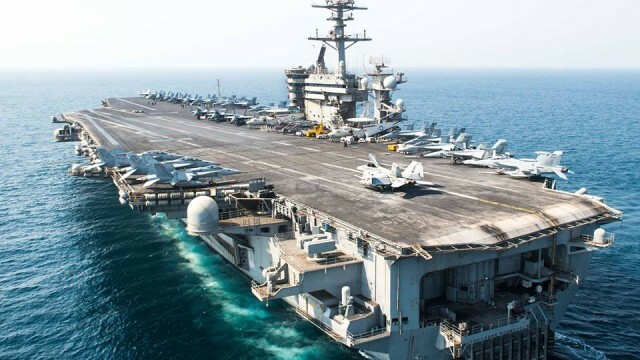 The aircraft carrier departed San Diego on Oct. 6 and spent the deployment supporting Operations Inherent Resolve and Freedom’s Sentinel, as well as maritime security cooperation efforts in U.S. 5th and 7th Fleet areas of operations, according to a U.S. Navy public affairs statement issued Thursday. The ship traveled more than 56,000 miles, and made five port calls in four different countries, including the United Arab Emirates, the Kingdom of Bahrain, the Republic of Singapore, and the Republic of the Philippines, as well as port calls in Hawaii and Guam, the Navy statement read. While deployed, Theodore Roosevelt partnered with more than 10 countries including Japan, South Korea, France, India, the Kingdom of Bahrain, and the Republic of Singapore to increase theater security cooperation through maritime operations, according to the statement. Approximately 70 aircraft from the squadrons of Carrier Air Wing 17 flew combat sorties and performed counterterrorism operations in Syria, Iraq, and Afghanistan. Additionally, Sailors and Marines conducted community service projects abroad. Theodore Roosevelt is the flagship of CSG 9. The TRCSG consists of the staff and ships of Destroyer Squadron 23 and the squadrons of Carrier Air Wing (CVW) 17, which includes Strike Fighter Squadron (VFA) 113, VFA-94, VFA-22, Marine Fighter Attack Squadron (VMFA) 312, Electronic Attack Squadron (VAQ) 139, Airborne Early Warning Squadron (VAW) 116, Helicopter Sea Combat Squadron (HSC) 6, Helicopter Maritime Strike Squadron (HSM) 73 and Fleet Logistics Support Squadron (VRC) 30.